Chances are good that dedicated offshore racing teams will compete on more than one circuit this season. Photo by Pete Boden/Shoot 2 Thrill Pix. Within minutes of yesterday’s speedonthewater.com story on key personnel changes at Super Boat International, my mobile phone and email account began blowing up. Beyond hearing from offshore racers and fans, I quickly learned that SBI technical inspector Lee Stanford, as well as other longtime staff members, had quit or were in the process of quitting the organization. None of this surprised me. Nor did reports of concerns regarding the future of the season coming out of SBI’s Cocoa Beach, Fla., and Michigan City, Ind., venues. For all the success SBI has enjoyed during the past few years with its impressive Superboat class, the organization has struggled with its schedule. In 2017, the SBI went from five to four regular-season races prior to its annual offshore world championships in Key West, Fla. For the 2018 season, SBI dropped its regular-season schedule to three races — with the loss of its Mentor, Ohio, contest to the new Race World Offshore organization — in advance of its Key West finale. Despite good showings in the Superboat and Superboat Vee classes, overall boat counts have dwindled in the past few years. Headed by Key West shaker and mover Larry Bleil — and it’s worth noting that SBI is in the last year of its contract with the city at the end of the road — Race World Offshore has been the fabled elephant in the room since it announced its formation late last year. To be sure, the organization has made a few missteps. Having its first press conference at a Duval Street bar open to the public on Thursday night during the SBI Key West event certainly wasn’t the best idea. Nor was prematurely releasing an event schedule that changed radically a month later. Blaming the schedule changes on “well-meaning” reporters not reporting the story correctly was another blunder. In more than a few ways, Race World Offshore got ahead of itself. But it’s also fair to say that Bleil and company were driven by significant forces, meaning race teams and their owners, within the sport. For whatever reason, those teams have had enough with SBI and want change. And now it looks like change, for better or worse, is what they’ll get. So what will that change look like? For sure, this is shaping up to be a fractured season, meaning that teams that want to compete beyond SBI’s current three-race regular-season contests and Key West Worlds — if that schedule holds — will need to look elsewhere. 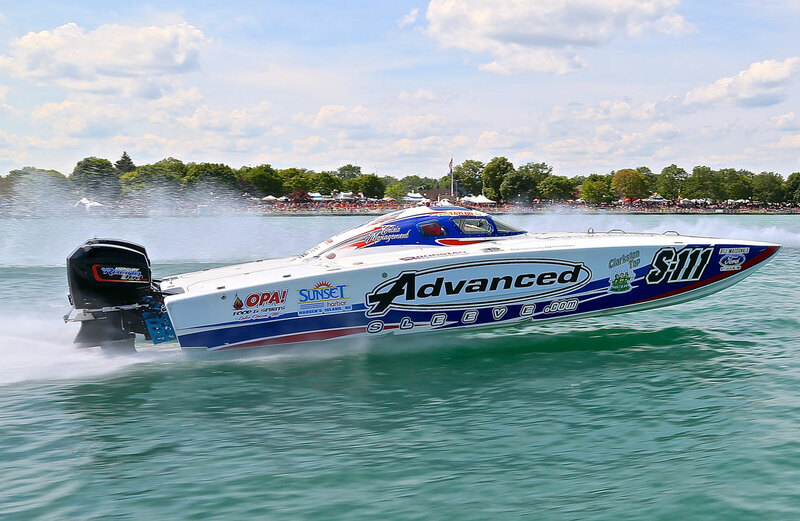 The Offshore Powerboat Association has a solid nine-event schedule this season, including a real gem called the Resorts World Bimini Grand Prix, which is heading into its second year. Race World Offshore has five events on its 2018 schedule. For my part, I make no predictions. I have covered offshore racing long enough to see most “splinter groups” fail, but it’s also worth noting that SBI started as a splinter group. Other than the racers having a place to compete and being appreciated for their efforts, other than the fans being able to enjoy watching the sport they love, I have no dog in this fight. But at least now we can start addressing the elephant in the room.